Welcome to my Secret 'Stache of Resources! This is a curated list of the apps and websites I strongly recommend for helping you along your road to financial freedom. I have tested every recommendation on this page & use most of them on a daily basis. These tools have been invaluable to my success in cryptocurrency investing and I know they will help you too. I keep this list updated regularly so it is always the best of the best cryptocurrency resources. A few of the links below are affiliate links, which means that if you choose to make a purchase, I will earn a commission. This commission comes at no additional cost to you. I included them because they helped me tremendously not because I make a commission. I have spent a good deal of time researching each one to make sure they are the most trusted and best reviewed in their respective category. I do the majority of my trading on Binance. They are the #1 place to trade cryptocurrency across the globe and for good reason! They have very low trading fees of just 0.1% per trade. You can get a 50% reduction on those fees by using their native BNB token. Binance has some of the most diverse altcoin trading pairs, especially when it comes to stable coins like Tether or USDC. 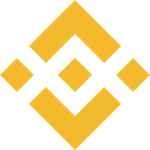 If you are ready to start doing some real trading, see my full step-by-step tutorial for trading on Binance here. When you trade at Binance you know your funds are secure (I always enable 2FA) & they have a great mobile interface for trading on the go. One of the largest and most trusted ways to convert your USD to Bitcoin is Coinbase. If you are a beginner in cryptocurrency you will first have to convert some fiat money to crypto. This is the exchange that I bought my very first Bitcoin on & continues to be how I covert Bitcoin back to USD when I need to. This is the EASIEST way to get started in cryptocurrency in the US in my opinion because of how simple and user friendly they make the experience. Think of Coinbase as the "bunny slopes" of cryptocurrency trading. It's a great place to get your feet wet until you understand the basics. They have a more advanced trading interface that I would recommend called Coinbase Pro once you are comfortable too. When you sign up for Coinbase using the link below you will even get $10 in free Bitcoin to get started! How great is that? This is hands-down the best way to track every aspect of your cryptocurrency portfolio. CoinTracking offers the most comprehensive set of tools to track & manage your crypto with ease. You can import from tons of exchanges through .CSV as well as API and they even let you import from popular wallets too. My favorite feature is being able to generate a detailed tax report (huge win here)! I tend to struggle with organization, but CoinTracking makes it super simple to keep all my purchases in order. With 10 years of historical data & trends for over 6,000 coins, the time you will save analyzing your cryptocurrency portfolio is worth every satoshi. If you are looking for the complete package, CoinTracking is it. Get 10% off by using my link below! CEX is one of the longest running cryptocurrency exchanges out there. Established in 2013, they are one of the most secure exchanges out there and have never seen a major hack of their exchange in this time. 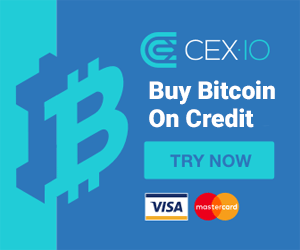 The reason I personally recommend CEX is because they have the LOWEST fees for buying Bitcoin with a credit card. At just 2.99% you really won't find a better deal online if you want to buy cryptocurrency with your credit card. Please take caution with your credit card purchases as you should never invest more than you can afford to lose. In addition to offering cryptocurrency credit card purchases, you can also cash out to USD or your local fiat currency through a number of methods. You simply can't deny the great features that they offer for experienced traders. Cash app has risen to become one of the most used mobile payment solutions out there. Beating out heavy hitters like Venmo in 2018, the team at Square rolled out the ability to purchase Bitcoin directly from inside this incredibly easy-to-use mobile app. I have now switched over to using Cash app to pay people quickly and even buy a little Bitcoin on the go when someone pays me through Cash app. If you are over the hurdles that Venmo and Paypal put your through, give Cash app a try. This is THE most secure mobile cryptocurrency wallet on the market, with 2 layers of cryptography & a built in secure keyboard. 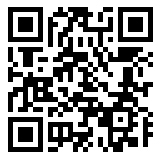 With it's incredible ease-of-use it is my pick for the best cryptocurrency mobile wallet. I love crypto, but I also love to collect things! You should see my office full of all the crazy nerdy stuff I have collected over the years. Collecting digital items has become so easy with the release of the Enjin wallet. The big win here is they support all ERC721 & REC1155 crypto-collectibles on the market. They are the only wallet with true game collectible support & one of my favorite cryptocurrency projects in general. A must-have app for any gamer that loves crypto! When it comes to the most secure desktop or laptop solution for 'staching your crypto I highly recommend the Exodus wallet. The interface is intuitive and beautifully designed, their customer support is the best I have encountered in the business, and you always own your own private keys when using Exodus. This is by far my favorite cryptocurrency wallet solution for desktop & laptop users because it is just SO simple to use. Security has always been their focus and they even have a built in exchange for quickly swapping your crypto for crypto. You can't go wrong with Exodus to manager your Bitcoin & as well as over 100 other digital assets! 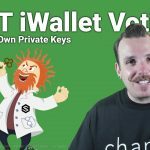 Cryptocurrency hardware wallets are by far the most secure option for 'staching your crypto. Ledger hardware wallets are reliable, affordable, and easy to use. You can store a good amount of coins on each Ledger and now with the Ledger X that capacity is expanded even further. I own multiple Ledger hardware wallets to keep my crypto extra safe. There is no doubt that this industry leader makes one of the best products on the market. If you are concerned about security or storing amounts of crypto over $3,000 then I highly recommend picking up a hardware wallet. Trezor is the other "industry standard" when it comes to hardware wallets with the best security, variety of coins, and ease of use. If I had to choose between a Trezor & a Ledger hardware wallet I would probably choose the Trezor model T. It has a small touch screen that makes it super simple to use and with an online interface for complete management of your coins you simply can't go wrong with this hardware wallet. Whether you go with a Trezor or a Ledger really just comes down to preference, as they have very similar features, but a hardware wallet is a must-have for any cryptocurrency enthusiasts that truly is looking to build their financial freedom from big banking. The great thing about the Coolwallet S is that it's the same size & shape of a standard credit card! Unlike the Trezor & Ledger it's unique design makes it easy to take with you on the go and not have to worry about a bulky piece of hardware. This crypto hardware wallet fits perfectly in your ACTUAL wallet and with an AES encrypted connection to an app on your phone makes spending your cryptocurrency a breeze while out & about. Google Chrome is the standard browser for many (you are not still using Internet Explorer are you?! ), but it lacks in the security department. My favorite new internet browser is the Brave Browser. This incredibly fast and secure browser has so many great features. It automatically blocks ads, is 8x faster than Chrome, has Private Tabs with Tor built in, stops website trackers, and even allows you to support your favorite sites directly with the built in Brave rewards that use the BAT token. I use Brave exclusively on my mobile phone and most of the time on desktop. Tired of seeing ads on my site? Download Brave Browser to block them automatically and surf my content ad free! If you are not familiar with VPN's they stand for "Virtual Private Network" and are basically another level of security for your connection to the internet. Instead of showing that you are from the United States you can load up your Hidester VPN and pick locations from all over the world to use as your secure private network. A VPN encrypts the data being sent to and from the internet so you are safer from hackers trying to steal your identity or even (gasp) your cryptocurrency! I use Hidester because they are affordable and easy to use. The interface is super clean looking and allows me to access some sites that block US customers. When signing up for crypto exchanges or other cryptocurrency services I recommend to always use a different unique password. This can quickly become a pain to manage, but with a great password manager like LastPass it is SUPER simple to keep all your passwords secure and safe from hackers. I would go absolutly crazy without a password manager like LastPass and it is one of the most useful tools ever created (well close!). Click below to give it a try and you will get 1 month of premium service for free! If you have ever used the popular browser extension EBates to get cash back while shopping online then you will LOVE the Lolli extension. In the very same fashion, you install the Lolli app to your Chrome browser and they have partnered with a ton of sites to give you Bitcoin back on your purchases! Earn up to 30% back in Bitcoin when you shop online at places like Sephora, Barnes & Nobel, Walmart, Bloomingdales, and many more. You get a nice little popup when you go to an eligible site that makes it super easy to redeem your free Bitcoin. I don't know why anyone would NOT be using this! When you first open your browser I bet it shows you a Google search box right? Why not earn a little crypto while having more options to customize your search at the same time? That's what the folks at Presearch are doing. You can install a Chrome browser extension that replaces your default home page search with a Presearch box and you earn 0.25 PRE tokens for each search. If you look more into the Presearch project you will see they are trying to build their own cryptocurrency powered search engine that is a fairer & more transparent version of Google search. Of course you can still set the Presearch box to do a Google search until their own engine is done. That's how I do it and I earn free PRE tokens at the same time. Win/win! Acorns is a cool little app that basically lets you "round up" when you make designated purchases on a connected debit or credit card. Its basically helps you to invest your spare change and grow your wealth passively through their automated platform. You can roll it all into their simple IRA and they will even help you find free money from their partners when you shop. The great thing about this app is that it is a "set it and forget it" type of way to diversify your investments. This is just one more stepping stone to truly achieving financial freedom and I highly recommend it. While I don't post my charts publicly, I have been using Trading View since the beginning of 2018. For the more experienced trader, or those looking to hone their trading skills this platform is unparalleled in its' feature set. There is a bit of a learning curve at first, but once you "get it" the power of what you can do with it becomes instantly clear. If your goal is to become a seasoned cryptocurrency trader then Trading View is a MUST HAVE in my opinion. This is an industry staple and no top cryptocurrency resources list would be complete without mentioning CoinMarketCap. Detailed stats & data on almost every coin out there with all the right links you would want (websites, exchanges, etc) for each specific coin. A free resource and my go to for quickly checking daily price action. This will save you a ton of time in your research guaranteed. Learning the ropes of cryptocurrency trading can be quite intimidating, but it does not have to be as a beginner. 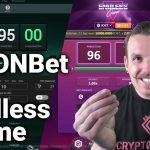 The folks over at Niffler have created a platform that "simulates" real-time trading where you can learn with out ANY risk at all. Let me repeat that, you can get on the site for free, they give you "play money" and you can learn to invest with this without any risk. You can even follow more experienced traders on the platform and learn from their calls. On top of all this, once you are experienced enough yourself you can earn real revenue by sharing your expert knowledge. 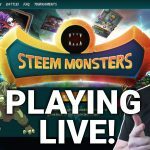 I am on my way to hitting "trader status", so give me a follow on the platform and lets learn together (minus all the risk!). The cryptocurrency world moves VERY quickly, but some information never really goes out of date. That's how I feel about Andreas M. Antonopoulos' best selling book Mastering Bitcoin. Andreas is a pillar of the cryptocurrency world and we would not be where we are in terms of adoption without this guy. 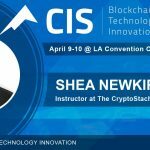 His talks are insightful, easy to grasp, and he is one of the most genuine people I have come across in the crypto space. Mastering Bitcoin is aimed at all levels and you will 100% learn a ton from this book. It is a great basis from which to start your education and works as a spring board to understanding current crypto events. I highly recommend picking up a copy if you are serious about learning about cryptocurrency. Once again, I love reading Andreas Antonopoulos and this book covers more about why we need Bitcoin. I talk a lot about a "financial revolution" and Bitcoin being the first step. This book puts a spotlight on that overarching ideal and really fleshes out why the 2008 financial collapse was the catalyst for the creation of Bitcoin. Andreas dives into the philosophical, social, and historical implications of Bitcoin and I his perspective is unique as much as it is similar to my own on the subject. Almost required reading at this point! 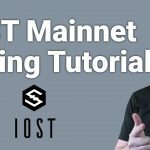 A GREAT option for a beginner just getting into the space that wants to use their own machine to test out how cryptocurrency mining works. Honeyminer just makes mining crypto with your computer stupid-simple. You just turn it on and let it do its thing. Similar to other beginner solutions, this is a great learning tool to start with. You can earn a few satoshis while seeing how mining cryptocurrency for beginners really works. If you want to get serious about mining cryptocurrency beyond just Bitcoin then you certainly need to check out Nicehash. It is basically a marketplace where you can buy & sell hashing power as well as manage your own mining rigs that you build. I consider Nicehash to be the best in the industry and their informative dashboard gives additional value and data insights for better day-to-day mining. Nicehash is the next best step to getting more involved in cryptocurrency mining for beginners and I wouldn't trust anyone else with my hashing power. If you are looking to go beyond just learning about cryptocurrency and really start earning a passive income from crypto just like I do you are going to need a killer website! I host all of my sites (and my clients sites) with Siteground. Great price point, top notch customer service, and all the tools you need like 1-click installs & free SSL security. Siteground takes the guess work out of hosting your website. They don't accept cryptocurrency... yet, but I am working on convincing them! Shameless self-plug here! Now that you have hosting you need a professional website. While I LOVE helping people learn about cryptocurrency, I spend my days building custom designed websites for small & medium sized businesses. My company Long Beach Web Design specializes in e-commerce solutions and we can help you build a complete solution for not only a passive income site, but membership sites, click funnels, course websites and more. If you can dream it, we can build it. You get to work with me personally on building your brand & how to succeed in your online business. If you can't afford the fully custom tailored solution for selling online (this includes digital products) then consider going with Woocommerce for your e-commerce solution. I use Woocommerce on many of my clients websites as it is proven out-of-the-box solution to get up and running with an online store quickly. Easy to customize and highly extensible, you can always find what you are looking for in terms of functions on the Woocommerce plugin store. Of course, if you need a little help getting started with Woocommerce I am just an email or phone call away. 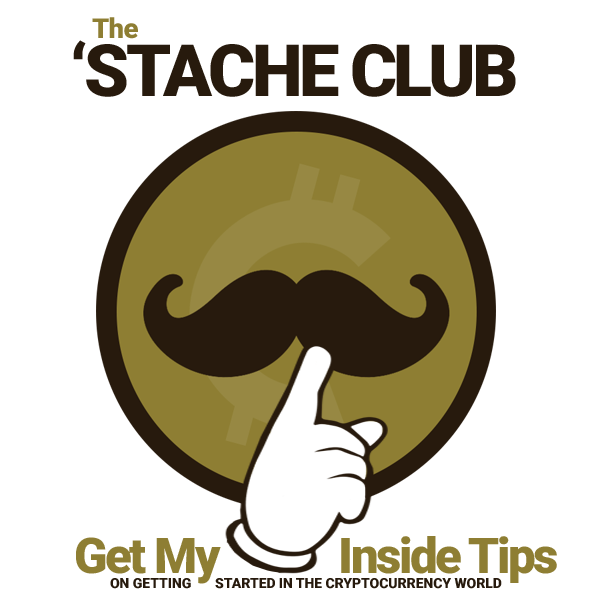 Mention the Cryptostache and your initial consult is on me! Some of the cleanest and coolest cryptocurrency t-shirt designs on the internet. Encrypted Apparel is run by a friend of mine and fellow Satoshi Dropper who loves crypto just as much as I do. He works with the infamous artist Hodl Crypto (also a Satoshi Dropper) for some killer exclusive crypto designs. My favorite design so far is the "Bear Trap" t-shirt, but they have a ton of classy gear that is not "in your face" cryptocurrency themed. 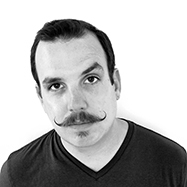 Grab some fresh gear and make sure you tell 'um that the 'Stache sent you! If you are looking for a one-stop-shop for fun Bitcoin & cryptocurrency novelties then look no further than Bitcoin Gear. Neon signs, collectible coins, keychains, socks, wallets, blankets, mugs, and even stackable aluminum mining rig shelves! These guys have all the cool & fun crypto gifts you might want to pick up for that huge cryptocurrency fan in the family on their birthday or special occasion. With some of the most creative and fun videos in the crypto space, my friend BitBoy crushes it on the daily with his content and he even has some cool merch on his website linked below. A fellow Satoshi Dropper and all around great guy in my opinion (except for the fact he prefers 5 Guys over In-N-Out, hey... no one is perfect!). Brekkie has jokes & meme's for days but also is the creator of the "Blockchain & Morty" series too. A fellow Satoshi Dropper, he recently launched his own branded crypto merchandise on his website (link below) with some cool pieces like a custom Bitcoin QR tile mosaic or his signature "Dirty Fiat" wallet. The "Queen of Charts" as we like to call her on Twitter. 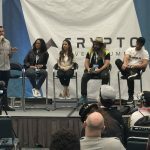 CryptoWendyO is a fellow Satoshi Dropper that does regular technical analysis for various cryptocurrencies as well as host some great meetups locally and across the US. Lover of pineapple pizza and if that's not ok with you, well... $GFY! Is it a Shitcoin or a Pokemon?? 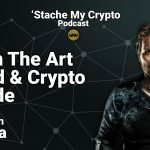 Andy & Daniel make up my favorite crypto podcasting duo, and not just because they are fellow Satoshi Droppers, but because they have amazing guests and a unique perspective on the world of digital currencies. They release new episodes every Monday and I love to listen to them as I start my week off. 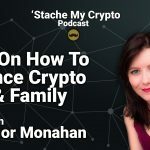 CryptoSanity is my good friend and co-host of the forthcoming "Crypto Potatoes" show on CryptoCake TV. A fellow Satoshi Dropper and also co-host of the Crypto Twitter Magazine & Live Show, he makes some fire meme's in his spare time when he isn't cooking up some delicious food pics. 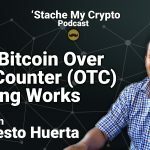 Fellow Satoshi Droppers J-Chains and BitBoy team up for the weekly "Beards & Bitcoins" podcast. They have some great guests and who doesn't love a bearded man right?? I let them slide on the beards because every good beards HAS to include good 'stache! Check out their weekly podcast on iTunes below. At first glance you would think that Cryptomodel is all instagram selfies and no content, but her and her boyfriend are the creators of a new crypto ratings and metrics site called CoinRating. Similar to CoinMarketCap, but with the feature to rate projects as well, its a cool resource to check out from this fellow Satoshi Dropper. 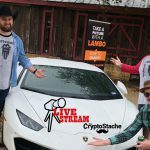 The newest Satoshi Droppers, TJ and Bryan make up Young Dumb Crypto and help to education people on cryptocurrency topics. Keeping it fun and loose, YDC puts out some great content on their Youtube channel so make sure to check them out in the link below.